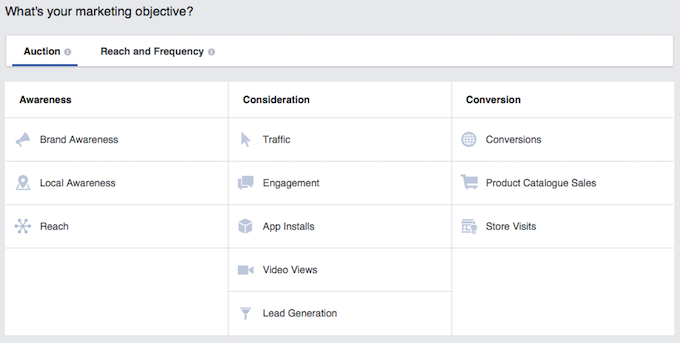 In this article you’ll learn the 14 Facebook advertising campaign objectives, what they are, and when best to use them. There are also some example ads to give you some inspiration for your next campaign. What is a campaign objective? Your advertising campaign objective is what you want people to do when they see your ads. Setting your campaign objective is the first action you taken when creating a new campaign. It’s at the top level of the campaign structure. Let us go in deep to see what each of these campaign objectives do. 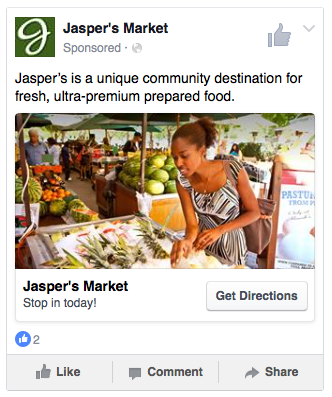 Use the Local Awareness objective to reach people near your business. When to use it: With reduced targeting options, limited to just age, gender and radius from your business the local awareness objective really isn’t that useful. Using this objective you have two options, 1) run an ad showcasing your page or 2) run an ad linking to your website. These are the same objectives as, a Page likes or website click campaign only less effective. Avoid using a local awareness campaign and use a website clicks or page likes campaign instead. When to use it: On larger scale branding campaigns where there is no specific action you want a user to take. This objective will appeal to larger businesses who can afford to run pure branding only campaigns. If you’re a small business however, almost every other objective will be produce better and more meaningful results. Show your advert to the maximum number of people. 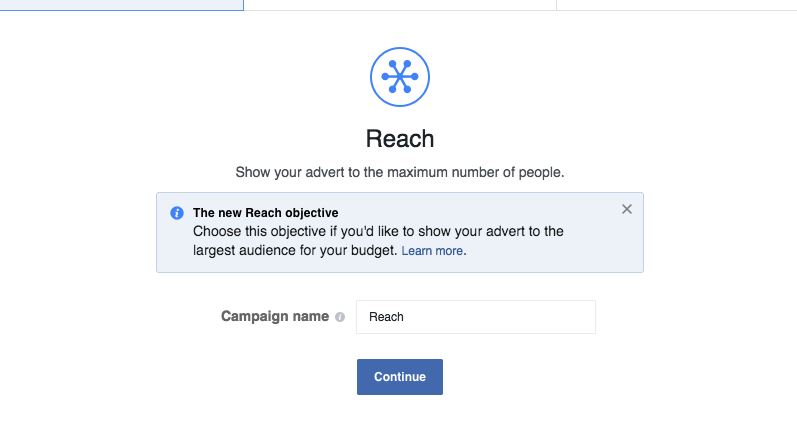 When to use it: Similar to the brand awareness campaign objective, the reach objective is designed to show your ads to the maximum number of people in your audience. What’s great about the reach objective is that Facebook has introduced Frequency capping, meaning that you can set the minimum number of days before the same person sees your ad again. Use the Clicks to Website objective to send people to your website. 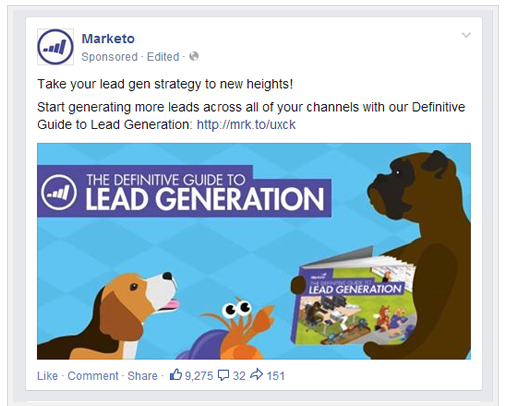 Use the Page Post Engagement objective to boost your post. When to use it: If you already have an organic post which is performing above average in terms of engagement and you want to get it in front of more of your Facebook page audience or a completely new audience this is the objective for you. Additionally, use the boost post objective when you have a small audience size that requires a low daily budget, such as £1 per day, to reduce ad frequency problems. 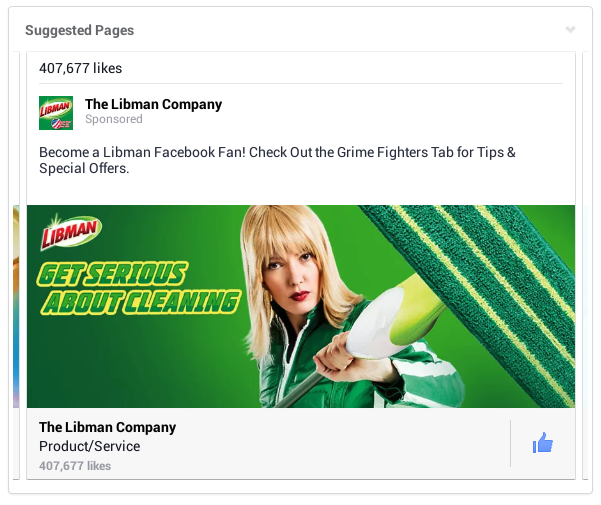 Use the Page Likes objective to promote your Facebook Page. When to use it: If you want to build awareness for your business by increasing the number of likes on your page. 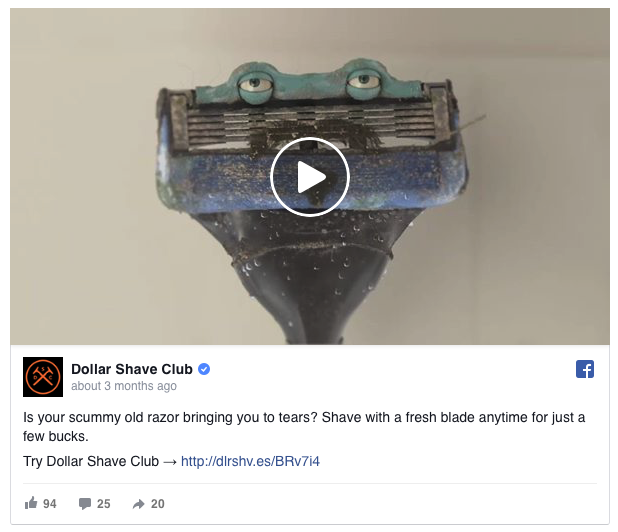 WARNING: Page likes are a topline (vanity) metric, if people don’t actually ENGAGE page likes are essentially worthless, a better objective to build awareness are content based boost post and website clicks campaigns. Use this objective to get more people to see and respond to your event. When to use it: You can only use this objective to promote events specifically created on Facebook. Not many businesses still use events on Facebook but if you are one of the few that do, then this will allow you to get your event in front of more people. If you run events using software other than Facebook such as your own website or Eventbrite then you’ll want to choose a conversion campaign objective. Use the Offer Claims objective to promote your offer. When to use it: Like with the event objective, this applies only to offer posts created on Facebook. Having run both offer and website click/conversion campaigns for clients we’ve found that straight offer campaigns perform worse than website click or conversion campaigns. 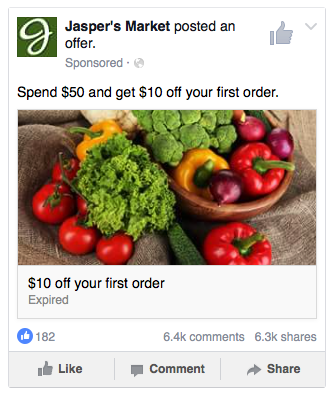 So, stick to website clicks or conversion campaigns if you are running a special offer on Facebook. Use the App Installs objective to get people to install your app. When to use it: When you first launch an app the first 72 hours are critical and you want to get as many downloads as possible to increase your app store ranking. 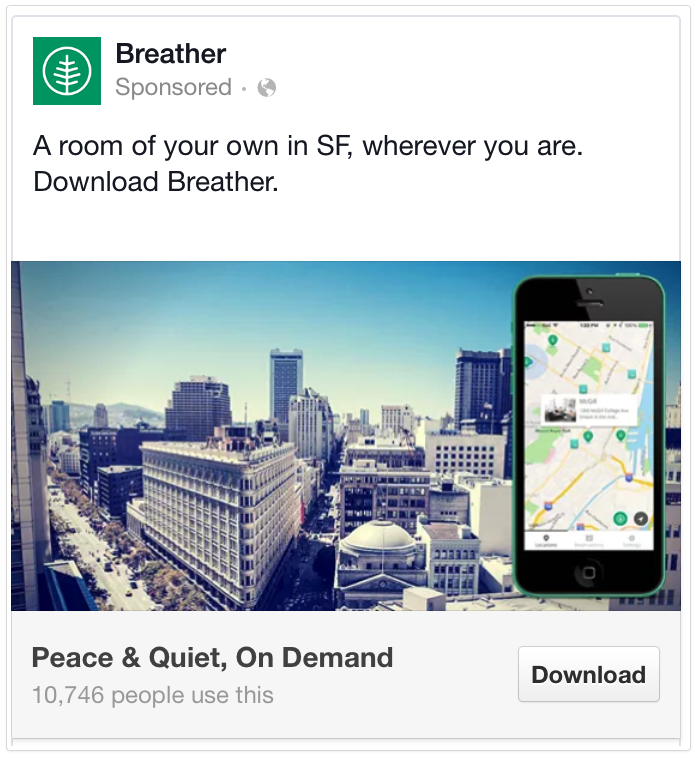 An app installs campaign is a great way to kick-start your downloads. Use the Video Views objective to get people to watch your video. When to use it: Video content is becoming more and more popular, people love it, that’s why Facebook sees over 8 billion video views every day. 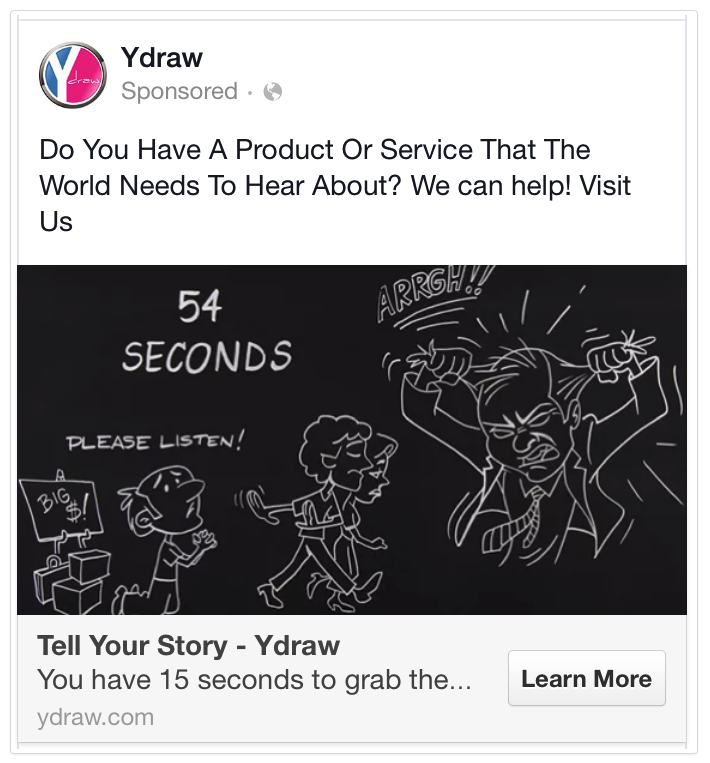 It’s no surprise then that video views is now an advertising objective. If you have an awesome video that you want to share with the world, you should use the video objective. It’s a relatively new objective so the cost per view is extremely low, we’ve seen views cost £0.001. Use this objective to create a form that will collect info from people, including sign-ups for newsletters, price estimates and follow-up calls. When to use it: Lead ads simplify the mobile signup process. When someone clicks on your lead ad, a form opens with the person’s contact information automatically populated, based on the information they share with Facebook, like their name and email address. 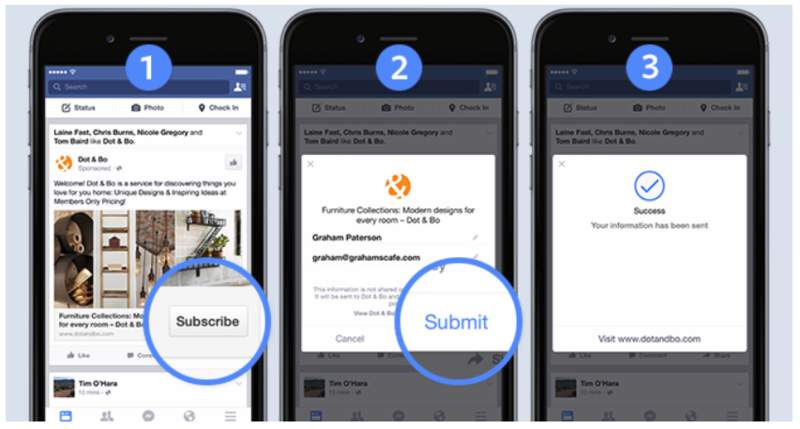 Automatically populating the contact information that people share with Facebook makes filling in the form as fast as two taps: one click on the ad to open the form and another to submit the autofilled form. The issue though is that people don’t keep their email address up-to-date from when they first signed up to Facebook. Therefore, the response rate post signup isn’t as high as when you use conversion campaigns pointing to a specific landing page where information isn’t automatically populated. Lead ads also don’t allow you to provide as much information about your offer as if you were to use a specific landing page. Therefore, for signups that require a heavier cognitive investment from someone, such as a strategy session, phone call etc a conversion campaign will have better results. When to use it: When you want to drive people from Facebook to your website to take a specific action such as signing up to a webinar, downloading a guide or purchasing a product. Create adverts that automatically show products from your product catalogue based on your target audience. When to use it: if you are an eCommerce company and want to show specific product remarketing ads to someone after they have viewed that product on your website. When to use it: similar to the reach people near your business objective but best used when you have multiple business locations. 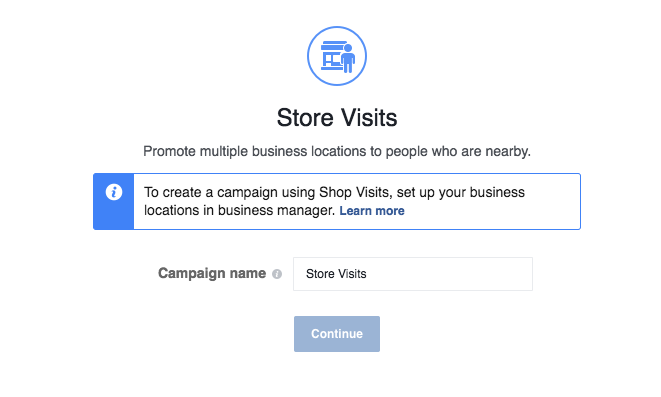 You can use the Store Visits objective to build dynamic advertising campaigns that are locally relevant to each store. The 4 main advertising objectives we use for the majority of our clients, where we’re generating new leads and sales for them, are: website clicks, conversions, post engagement and video views.